Connecticut joined some 20 of its sister states when the General Assembly legalized the prescription, regulated cultivation, controlled sale and consumption of pharmaceutical marijuana for specific medical conditions. The passage of this legislation spawned an extensive and comprehensive regulatory scheme crafted by the Department of Consumer Protection. There will be a limited number of grow licenses issued by that agency, and cultivation of the product is required to be indoors. Sale will only be permitted at approved and licensed dispensaries which are also tightly regulated. And this is where questions will need to be addressed by local zoning authorities. For as thorough as the state regulations are, the legislation does not trump or pre-empt municipal zoning, and any proposal must comport with the applicable zoning regulations of the host town before a license is granted. This really leaves a major control mechanism in the hands of the towns and cities, especially in relation to dispensaries. 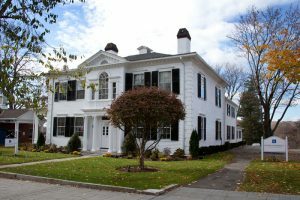 A number of Connecticut towns have imposed moratoriums on the consideration of any such facilities until its zoners are able to create regulations. Others, such as New Milford, have determined that the state regulations, which are clear and create strict standards and conditions, impose clearly defined checks and balances as to licensure. Such being the case, the local issue has been narrowed, and relates only to the municipalities’ jurisdiction over land use; whether the use is permitted and if so, where. New Milford’s proposed regulations on precisely those “if and where issues” are slated for debate at a public hearing. The state regulations and licensure protocols combined with traditional land use permit and enforcement processes (and multiple sanction capabilities) should create more than sufficient layers of protection to allay the fears of even the most skeptical among us.